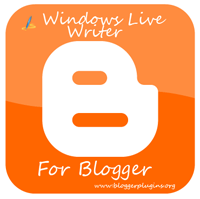 3.Offline Editing is possible Windows live writer helps you to make posts offline and publish it when you want to. You will also get a live preview feature. 6. More Options for Hyper links. – There are more options for making link.You can opt to open link in new window,add title to the link and add nofollow tags and lots more. Did i miss out any nice features or plugins?? Or did i miss out any annoyances?? If i did please let me know so that i can update this post. A very special thanks to Prasannajeet who brought me back to Windows Live Writer.I haven’t been using this for long. 2) There is an autosave feature in settings. 4) Of course you can post without even visiting Blogger.com. BTW I came from RSS (Google Reader) and on top of the page says "Welcome Googler!" @Anonymous yea i am almost a noob to windows live writer..
thanks for notifying.. i have updated the post..
Autosave Features is there. Go to Tools > Options > Editing > Save Draft Every X Mins. Its doesn't need Windows Live Id. WLW is Amazing.. ! ESp the Image Editing Stuff. i have updated the post.. yea it has auto save..
are you sure that it by default has the option to upload to flickr..? yea there are plugins to do that.. I was talking of the Photo Album Upload feature.Which allows you to add a photo album to your post..and the images would be uploaded to live..
i have also using it for blog posting..it is far better than blogjet and w.bloggar ..but it crashes many times.. The image editing functions and the font options make my favourite one..
other options i like -i can retrieve the blogposts i recently posted and edit without changing the post id ..
what is the difference between tags and categories?? Utilizo Windows Live Writer y funciona de maravilla. I am getting an error that says: The remote server returned an error: (403) Forbidden. if you find anything regarding this albumpost on my own server then please send me email. I am using METAWEBLOG API. Hi I need some help please. I have a blogger account and have just found writer . I am unable to post from the writer to my blog as it comes up with File Upload failed- remote server returned as error:403 Forbidden. Whatdo/can i do !!! I am getting the same 403 error. The unique part-I can post one picture, but if I add another, I get the error. I already tried the "Create a new folder called Windows Live Writer in Picasa" fix, and that did not solve my problem. Ideas? Thanks! well I created a post with windows live writer and I wanted to publish and I get all the time, file upload failed. The remote server returned an error (403) forbidden. What the..........?Can somebody? tell me..... (metzeka@yahoo.com)I don't know why because all the things for the connections seem to be right, but I guess I missed something! Thanks! When you get the 403 error it is because you have no more room to publish pictures. In my case my picasa web album was full and I had to delete pictures for it to work. have you been experiencing the same problem? already updaded the theme, thought wlw couldn't find the light box script the first time. thanks in advance. id already deleted the Window Live Writer album in picasa web image in order to get post my picture to the blog. But still the error comes out. Anyone who can help help? im dying for it.